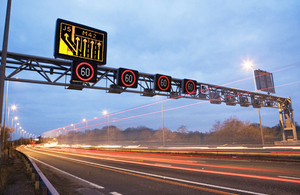 Work to replace a section of the central reservation barrier will start this weekend on the A21 near Sevenoaks in Kent. The work will start tomorrow (Saturday 10 January) and will involve narrow lanes on the coastbound carriageway and overnight carriageway closures. It is due to be completed, weather permitting, by the end of March. The existing barrier is coming to the end of its life and needs to be replaced to maintain safe and reliable journeys on this vital route. The work has been carefully planned and will be carried out overnight, when traffic flows are lowest, to minimise disruption. Narrow lanes and a temporary 50mph speed limit will be in place on the coastbound carriageway throughout the work. The overnight closures will be in place between 9pm and 6am, with the A21 closed between the A21/A25 junction and Morley’s roundabout (for the A225). Clearly signed diversions will be in place during the carriageway closures via the A225, A224 and A25.